When will be Tales from the Neverending Story next episode air date? Is Tales from the Neverending Story renewed or cancelled? Where to countdown Tales from the Neverending Story air dates? Is Tales from the Neverending Story worth watching? Tales from the Neverending Story is a one season-only TV series that is loosely based on Michael Ende's novel The Neverending Story, produced and distributed by Muse Entertainment, and aired on HBO in 2002.Twelve-year-old Bastian Balthazar Bux had lost the wonderful imagination he had as a child somewhere between growing older, watching TV, going to school and playing with his Gameboy. But when his mother dies suddenly, Bastian's limitless imagination is reborn. 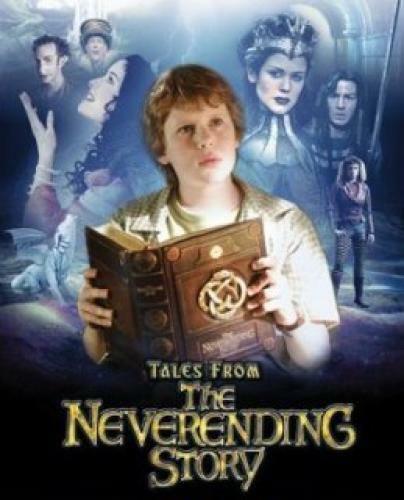 Bastian comes across a magical book, 'The Neverending Story', in a curious little bookstore. Inspired by the book, Bastian creates an enchanted world called Fantasia, inhabited by dragons, dark knights and assorted heroes and villains. Tales from the Neverending Story next episode air date provides TVMaze for you. EpisoDate.com is your TV show guide to Countdown Tales from the Neverending Story Episode Air Dates and to stay in touch with Tales from the Neverending Story next episode Air Date and your others favorite TV Shows. Add the shows you like to a "Watchlist" and let the site take it from there.